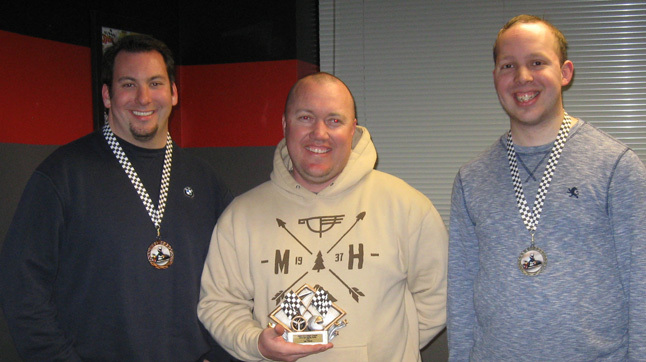 Our First Kart Racing Series is in the Books! 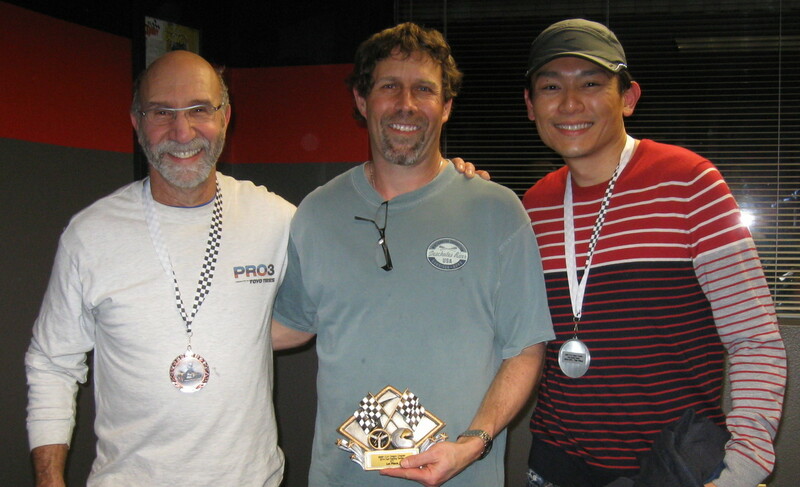 Our 5 race series completed last night with our last races taking place at Sykart in Tigard as usual. Some top runners in both GT1 and GT2 didn’t make it last night opening the door for others to stand on the podium in last night’s races as well as the series. The series was a great success and we’ve already scheduled it in again next Fall. Watch for some karting events throughout Spring and Summer at Pat’s Acres as well as probably a night at Sykart. Thanks to all who participated and made each of these race nights so much fun. This guy drives as good as he looks! This was by far the most fun we had since the chapter began in 2010. A bunch of guys and one gal, Michelle Hows, driving together on a Tuesday night once a month for 5 months. 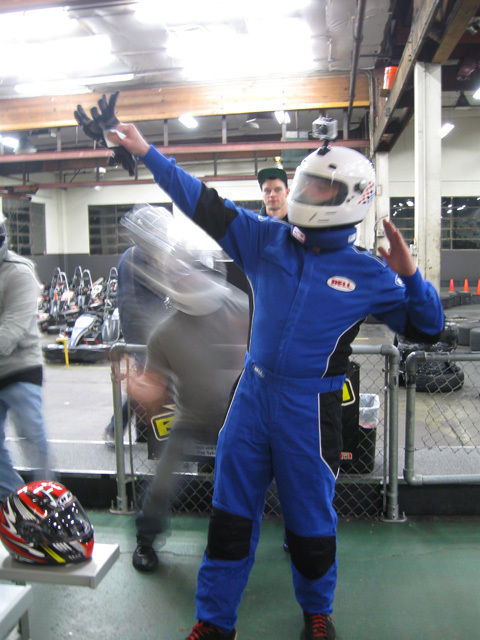 Most of us had little to none – kart driving experience. By the end of the series we all saw incredibly better driving and faster lap times. This is the kind of fun that takes a bad day at work and makes it disappear. David Hows was the idea man for this event. He put it all together, and kept track of the points. David, THANKS. You are the winner of the series regardless of where you came in with for points.